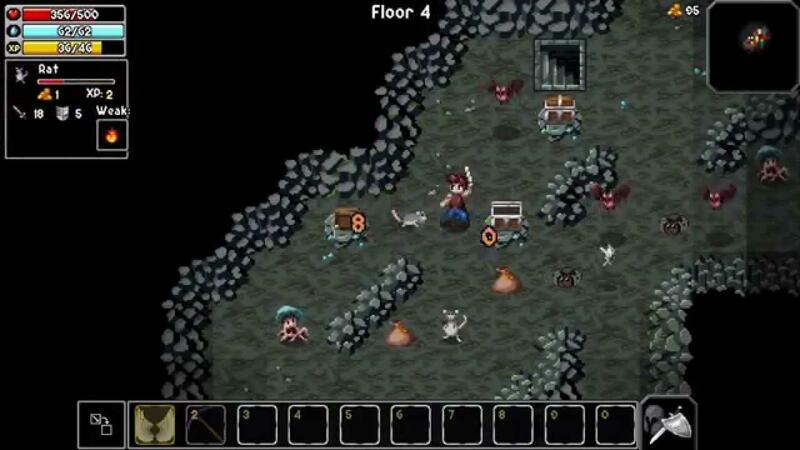 The dungeon crawler rogue-like was released for Linux last week. It brings a few twists to the familiar formula that might interest fans of the genre. A free version is available for those curious to try the game out. I'm an occasional fan of dungeon crawlers and have wasted many an hour playing games such as NetHack or the still-active Dungeon Crawl Stone Soup. Random generation can be a cruel mistress as anyone who has played these games can attest and it makes every playthrough unique. There's a free 'lite' version of The Enhancted Cave 2 available as a free flash game but the full version sold on Steam is the more comprehensive and complete edition available. The flash game is fairly popular and a good way to see if you're interested or not in the full experience. Additionally, you can see the diferrences between the full version and the free version here. You can grab The Enchanted Cave 2 on Steam.